This bilingual flier announces that Hostos Community College students and activists will hold a vigil to raise awareness about their need for funding to complete renovations at 500 Grand Concourse. 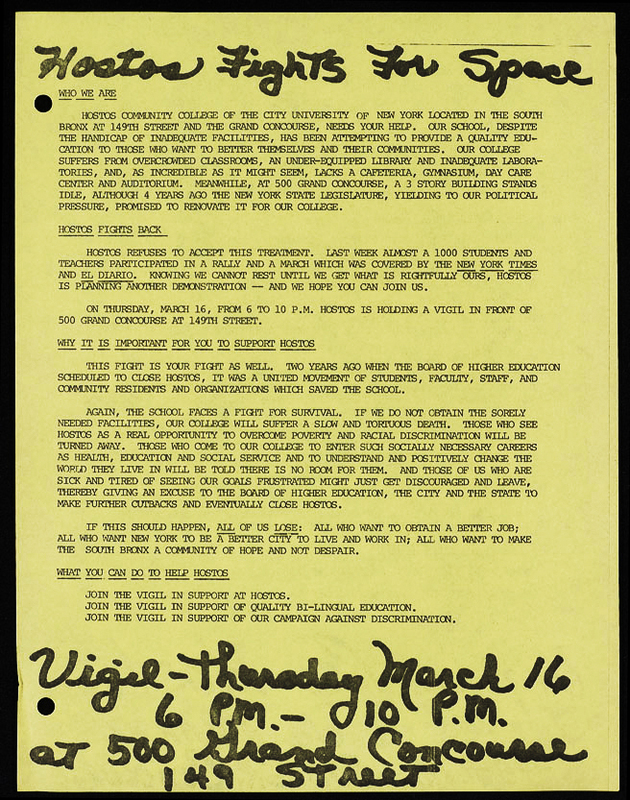 The flier describes the urgent need for the renovations and the importance of collective action to achieve that goal. 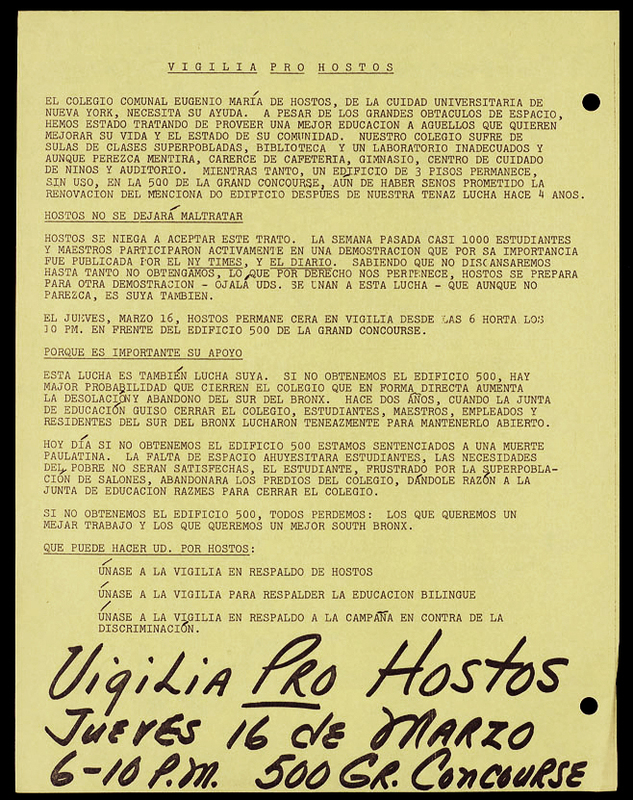 Cite This document | “Hostos Fights for Space / Vigilia Pro Hostos,” CUNY Digital History Archive, accessed April 18, 2019, http://cdha.cuny.edu/items/show/4742.